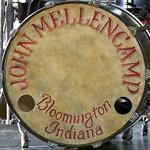 John Mellencamp Community > MELLENCAMP.COM ANNOUNCEMENTS > Ask Mellencamp.com > Pre-Sale Question! 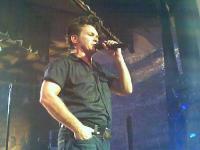 Tony~ I just noticed on my profile page it says the local time is 7:51 am when in fact the time is 8:51 am. Is this going to affect what time the password shows up on the tour page? I want to buy my tickets this morning and hope I'm not an hour late because of the incorrect time. I'm in Indiana on EST. Help! I'm panicked! No worries. All times listed on the TOUR page are the times of the ticket sales. The message board system happens to be running on a server in CT but it has nothing to do with the website. All Eastern Time zone shows go on sale today at 10 AM ET, Central time zone shows go up at 11am ET or 10am CT.
Help I have a question are they not selling the cheap tickets in nashville at the presale? All that keeps coming up are the expensive? I just checked and was able to pull up the cheap seats. I looked for 1 ticket and made sure to choose the lowest pricing in the box before you enter the password. Good luck! I just joined the 'community' in hopes of finding the pre-sale code for the nashville show, but I can't find a link on his tour page to buy tickets for the nashville show. Anybody know what i'm doing wrong? See the home page article that lists all of the passwords, if you are logged in on the TOUR page the passwords will appear in the proper column.